Our mailbox looked like this since we moved into this house 3 1/2 years ago. Yuck! Needless to say, it was time to do something about this eyesore. 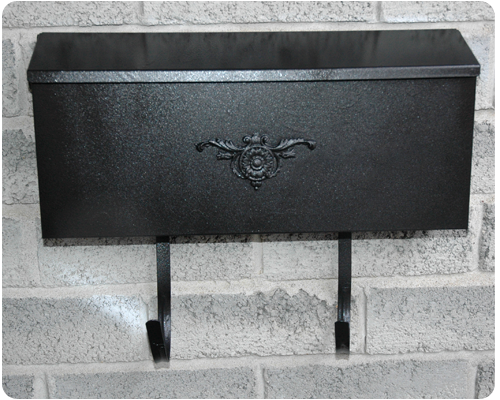 We looked at buying a new mailbox, but anything in a similar style (we find this one to be a perfect shape for what we get in the mail) was either made of flimsy plastic or was ridiculously expensive. 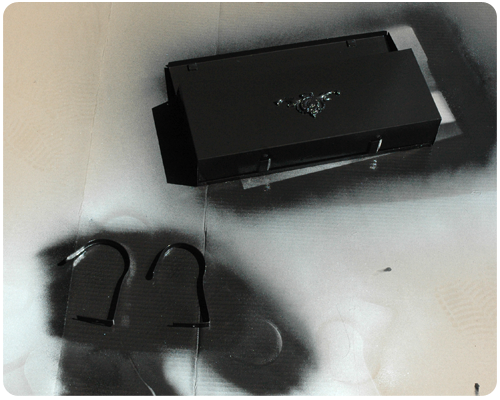 So we decided to go the spray paint route. I started by taking the mailbox off the wall, removing the hanging brackets from the bottom, and giving the whole thing a good wash. It was really dirty! 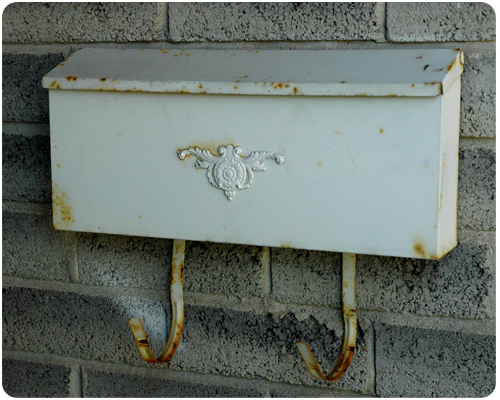 When everything was dry, I sanded the mailbox and the hanging brackets with steel wool to remove any loose rust. 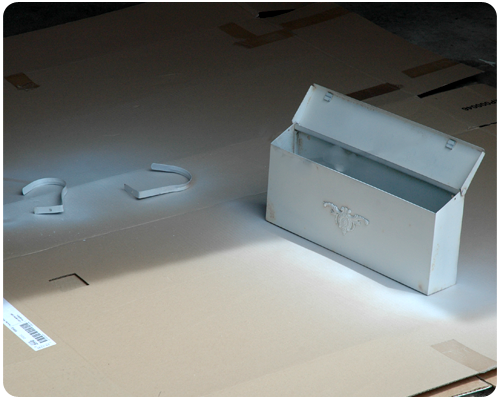 I then laid all the pieces on a piece of cardboard in the garage and gave it two coats of Rust-Oleum white primer. Most of the rust was covered by this point. 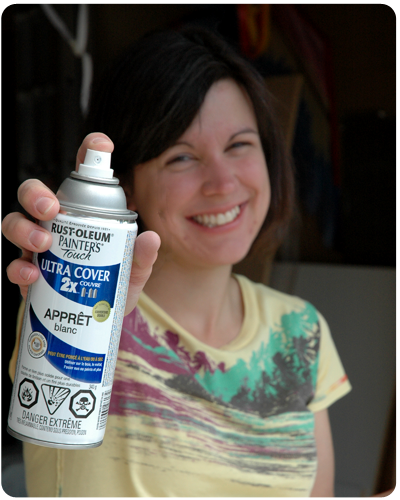 I am so glad that the warm weather is finally here and that I can start on the many spray painting projects that I want to do. Here I am, the happy to be spraying! After the primer was dry, I applied 3 coats of Tremclad Hammered in glossy black. This paint was supposed to create a hammered finish. 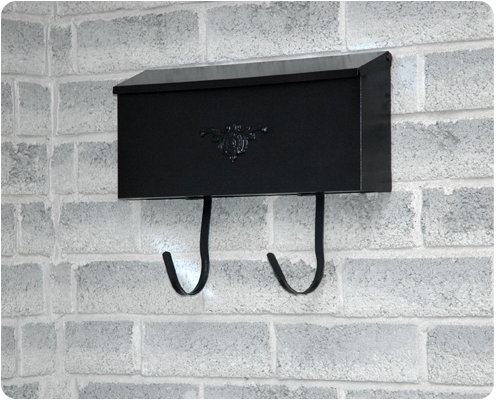 I don't see that, but I do see a black, non-rusty mailbox that pops nicely against the brick and looks a million times better than it did before. A simple project with dramatic results.